1) The ‘dialogue of life’. 2) The ‘dialogue of beliefs, theological doctrines and philosophical ideas’. 3) The ‘dialogue of faith’. 4) The ‘dialogue of witnessing to one’s own faith’. 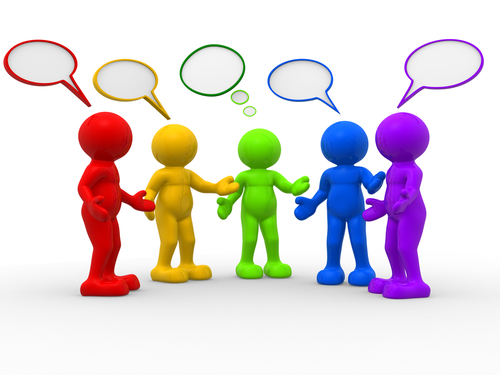 In the context of the modern world, the most fundamental and vitally important of these are the ‘dialogue of beliefs, theological doctrines and philosophical ideas’, and the ‘dialogue of faith’, as it is upon these that all interreligious awareness and interaction is based. Within the framework of these most crucial kinds of dialogue, scripture(s) within different faiths play(s) a foundational role. It is thus that in order to understand both where one is coming from and where the other is also, it is imperative that members of different religious traditions garner an understanding of both their and others’ sacred texts and the doctrines engendered thereby. They must examine, accept, and attempt to reconcile the most analogous and contradictory comparisons between them. The redemptive acts of Jesus Christ, culminating in the ultimate self-sacrifice of his death on the Cross and subsequent resurrection, form the basis for virtually all Christian doctrines. They also constitute one critical source of conflict and disagreement between Islam and Christianity. As this is the case, it is only appropriate that both the Islamic and Christian views of redemption and the death of Jesus Christ on the Cross be examined and understood if effective Muslim-Christian dialogue is to become a concrete reality. Such an examination, understanding and acceptance must be attained on the basis of Christian and Muslim doctrines in their own right and on their own terms; not through the viewpoint or comprehension of the other. Mahmoud Ayoub, A Muslim View of Christianity: Essays on Dialogue, ed. Irfan A. Omar (Maryknoll, MI: Orbis Books, 2007), 68. The understanding of the death of Jesus during the crucifixion may be understood as affecting the institution of the doctrines of redemption within both the Islamic and Christian traditions. In Christianity, the belief in Jesus’ actual death on the Cross, and the salvific properties contained therein, has led to the view that the redemption of humanity was enacted through one act of ultimate sacrifice for the sake of others. In Islam however, the actual death of Jesus through crucifixion is categorically denied.The crucifixion instead understood as a clear example of the human rejection of God’s message being answered by His power as the Jews believed they had killed Jesus Christ but in fact had not due to God’s intervention, and the futility of humanity’s attempts to vanquish God’s Word as manifested in history. In the absence of the redemptive acts of Jesus as understood in Christianity, Islam has developed a clear understanding of redemption as primarily the responsibility of individuals to expiate their own sins. This is achieved through obedience to God by following the example of the Prophet Muhammad, with emphasis placed on the ultimate supremacy of God and complete self-surrender to His divine plan. Having said this however, if Muslims and Christians are genuinely receptive to the message of each other in this respect, they cannot but help to realise the common element in both doctrines of redemption and accounts of the crucifixion: the definitive message of the power of God, and His desire for the right-being and redemption of humanity. This acknowledgement in turn can lead to a deeper understanding and affinity, born from a significant source of historical disagreement between the two traditions. Parrinder, Jesus in the Qur’an, 115. Parrinder, Jesus in the Qu’ran, 120. The term ‘redemption’ is derived from the Latin root redimere, and means ‘to be whole’. In both the Islamic and Christian traditions, this means a state of concord between the spiritual and material realms of existence, and complete uninterrupted communion with God in this life and eternally in Paradise. The accomplishment of both these concepts is frequently disrupted by the occasion of humanity’s acts of sin. They are made possible through the lives and the sacrifices of human individuals; in the Christian tradition through the fundamental humanity of Jesus Christ in his self-sacrifice, in the Islamic tradition through the life and example of the Prophet Muhammad. Both Christian and Islamic notions of redemption originate with Adam, yet are understood in different ways. In Christianity, Adam is conceived as the original sinner, with his action of sin being derived from the attainment of knowledge. In Islam however, he is recognised as the original prophet; the history of God’s revelation to humanity begins with him. His action of sin derived from disobedience, as he was presented with the opportunity to exercise his ability of free will to choose between either knowing and choosing man, or knowing and choosing Angels; opting for humankind. 1) Redemption through the shedding of blood and death. In the Christian conception of redemption through the shedding of blood and death - mainly found in the doctrines of Western Christianity - the Cross is transformed into an altar of sacrifice, prototyping the Jewish Temple altar. According to this view, Jesus suffered and gave his life as a ransom for humanity’s sins. Through dying for the sins of Adam, Jesus opened the channels of salvation between humankind and God. 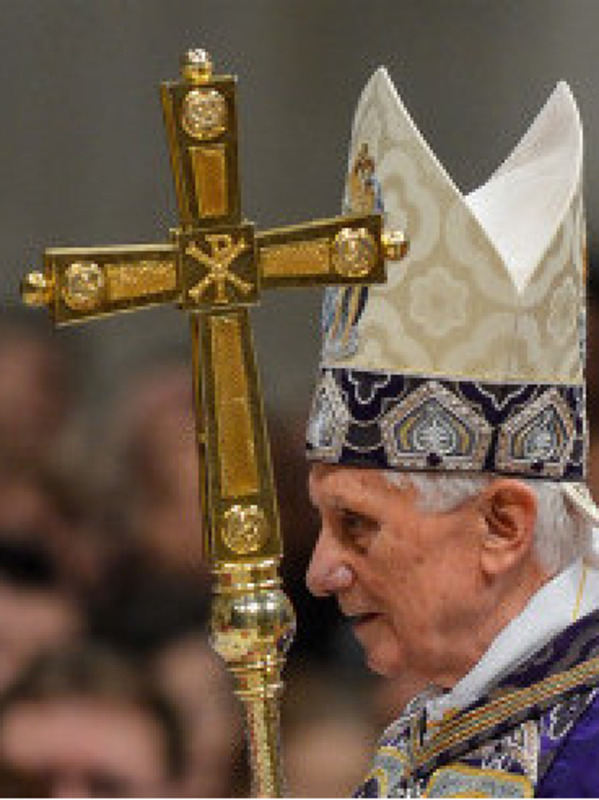 In the form of redemption through victory - mainly found in the doctrines of Eastern Christianity - the Cross is transformed into a ‘throne of glory’. According to this view, Jesus forfeited his life in order to bring humanity closer to, and gain victory for, God by eliminating the forces of evil. 1) Redemption by good deeds. 2) Redemption through intercession (shafa’ah). The Islamic concept of redemption through good deeds establishes the reparation of every individuals’ sins as made by every individual themselves. This is in direct contrast to the Christian doctrine of redemption through Jesus Christ’s death on the Cross, where the ultimate salvation of the entirety of humanity is achieved through one man. It is accomplished through the following of the five pillars of Islam and the emulation of the example of the Prophet Muhammad’s earthly conduct through such means as repentance, prayers, fasting, the payment of zakat, and so on. In the context of this individualised form of redemption, the notion of intention (niyyah) plays a vitally essential role. For a Muslim, their intention constitutes the origin of all actions (fi’il) they carry out (kasb) and their fundamental responsibility engendered thereby. It is the grounding for their own individual will (iradah), and the entire basis for their eternal fate in the afterlife. Whether one enjoys eternal happiness or suffers eternal misery and torment is dependent on the proper use of their intention during their earthly existence. The proper employment of one’s intention lies in the effecting of actions with the consciousness of serving and pleasing God. However, if even this is done with the improper intention, such as only seeking to serve oneself, the spiritual reward attained by such actions is denied the actor (fail). To this end, M. Fethullah Gülen gives the example of martyrdom - a particularly urgent issue in the modern world. If an individual desires the status of martyrdom, and the rewards contained therein, yet perish in their attempt to meet this end only for themselves, they are not considered by Islam to be martyrs. In contrast, an individual who hopes for martyrdom and sincerely intends to please God and defend Islam but dies in their bed are considered to be martyrs, as their intention in achieving this status is deemed to be correct. The second form of Islamic redemption is that through intercession. Although completely denying any concept of redemptionist theology, the Qur’an implies the acceptance of some kind of intercession. However, it also questions its benefit for individuals who are deemed particularly deep in sin, such as those engaging in transgressions including unbelief (kufr) and association (shirk). Traditional hadith, such as ahadith al-shafa’ah, portray the Prophet Muhammad as serving an intercessory role with God on behalf of the sinful of his community, even the entirety of humanity, at the Day of Judgment. Sunni Muslims understand these hadith as indicating that the Prophet’s intercession alone is effacious for redemption. Schools of thought such as the Mu’tazilite and Wahhabism however, categorically deny any concept of the existence of intercessory powers except for those of God mainly on the basis of tawhid and the connection between the higher and lower worlds. Although traditionally attributed to the actions of the Prophet Muhammad, the Qur’an suggests that this function may also be exacted by others, such as those who have made a covenant with God (19:87), true witnesses (43:86), and Angels (53:26). Indeed, it is indicated that God protects those who don’t do through those that do (cf. 2:251). The continuance of humanity rests on these individuals’ maintenance of the human obligations of prayer, fasting, pilgrimage, and so on. Ayoub, A Muslim View of Christianity, 91. Ayoub, A Muslim View of Christianity, 93. M. Fethullah Gülen, Questions and Answers about Faith (Fairfax, VA: The Fountain, 2000), 182. Gülen, Questions and Answers about Faith, 182. See Qu’ran 2:48; 6:164; 17:15, etc. Ayoub, A Muslim View of Christianity, 94. Marcia Hermansen, “Eschatology,” in The Cambridge Companion to Classical Islamic Theology, ed. Tim Winter (Cambridge: Cambridge University Press, 2008), 318. Any attempt at an authentic dialogue between the Muslim and Christian doctrines of redemption necessarily implies an understanding of both views concerning Jesus’ death on the Cross. From a Muslim viewpoint, why do Christians hold Jesus’ crucifixion as the pinnacle of their redemption? From a Christian perspective, why do Muslims not? 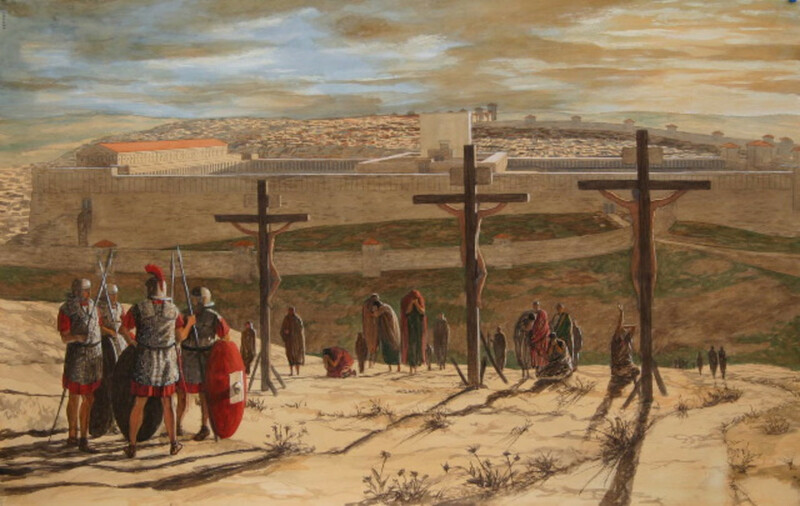 Christians consider Jesus’ life to have been ransomed on the Cross for the sins of humanity. Over the centuries this has engendered a multitude of issues, not least the status of Jesus as the Son of God in this context. In response to this problem in particular, Christian theologians developed the doctrine of hypostatic union; one Jesus with two natures, human and divine. It is thus that in the Christian understanding there is no doubt as to the fate of Jesus on the Cross. The human Jesus perished in order to open the channels of redemption between humans and God. The divine Jesus (or ‘Christ’) continued to exist even unto death. In the Islamic tradition however, the role of Jesus in the crucifixion is understood in a completely different light, with Muslim scholars categorically denying that Jesus held such an integral function in the process. The Qur’an presents the death of Jesus on the Cross in several verses, the most important of which in terms of their complexity are verses 3:52-55 and 4:154-158. Verses 3:52-55 are understood within the context of conflict between Jesus and his adversaries. They also seem to deny Jesus’ death on the Cross, rather suggesting that he ascended to heaven prior to the actual crucifixion. However, the verb mutawaffika, meaning ‘receiving you’ or ‘causing you to die’, creates serious issues in the correct interpretation of this passage as it appears to unambiguously suggest Jesus’ actual death and return to God. Verses 4:154-158 are considered to constitute the most critical passage regarding the death of Jesus on the Cross, and have become the focus of Muslim scholars’ attempt to understand this event. This passage is identified as within the context of Jewish rejection of the messengers of God, located within an extensive history of Judaic transgressions against Him. It vehemently denies that the Jews could have killed the Messiah as God alone has the power to vanquish His Word. 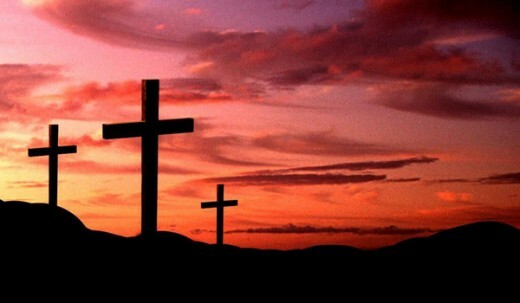 From these two passages two questions clearly emerge, which have occupied Muslim scholars throughout Islamic history – did Jesus actually die on the Cross, and if not, was there another person who was crucified in his stead? The answer to these questions lies in the Islamic position of ‘subtitutionism’. According to this understanding, Jesus’ likeness was cast on another human being by God, who was then crucified in his place, while Jesus ascended to heaven. This conclusion is arrived at on the basis of the words shubbiha lahum found in verse 4:157. For example, Tabari relates on the authority of Wahb that following His revelation to Jesus of his ascension, God cast Jesus’ likeness on every disciple so as to confuse the Jews who gathered to arrest Jesus. The Jews then took one of the disciples and crucified him, believing him to be Jesus. One obvious problem arising from this tradition is that of God causing a human being to suffer and die for the sake of another; directly instituting the concept of divine wrongdoing (zulm). It is thus that Muslim scholars adopted the understanding that one of Jesus’ disciples voluntarily accepted that his likeness be cast onto them, freely consenting to the eventual fate of suffering and death that the Jews intended for their master. Another means of combating this issue, developed by Muslim scholars, is that of ‘punishment substitutionism’. According to this position, Jesus’ likeness was cast onto one of his opponents, who then suffered and died in his place as a punishment for their active rejection of God’s prophet and the divine message that he brought. 1) Had someone’s likeness indeed been cast upon another and known only to the disciples, it would mean that the Christian, and to a certain extent the Jewish, belief in the crucifixion would be based on a centuries-long divine deception. This directly challenges the primordial covenant established between God and humanity, thus also His mercy and justice. 2) The acceptance of the possibility of casting one’s likeness upon another leads to a destructive cycle of doubt. This opens the gate of sophistry, which renders it so that no social norms can be determined. This in turn leads to doubt in historical testimony, which provokes doubt in fundamentals (usul). This inevitably ends in the doubting of the prophethood (nabuwwah) of each one of God’s prophets. According to Razi, the acceptance of such confusion of identity must therefore be necessarily rejected as it requires the suspicion of fundamentals. See Qur’an 5:117; 19:34, etc. Ayoub, A Muslim View of Christianity, 168. Ayoub, A Muslim View of Christianity, 169. Geoffrey Parrinder, Jesus in the Qur’an (London: Sheldon Press, 1977), 108. Parrinder, Jesus in the Qur’an, 108. Ayoub, A Muslim View of Christianity, 159. Ayoub, A Muslim View of Christianity, 160. Ayoub, A Muslim View of Christianity, 162. Ayoub, A Muslim View of Christianity, 166. Ayoub, A Muslim View of Christianity, 164. Ayoub, Mahmoud. A Muslim View of Christianity: Essays on Dialogue, edited by Irfan A. Omar. Maryknoll, NY: Orbis Books, 2007. Gatje, Helmut. The Qur’an and its Exegesis: Selected Texts with Classical and Modern Muslim Interpretations, edited by Alford T. Welch. Oxford: Oneworld Publications, 1996. Gülen, M. Fethullah. 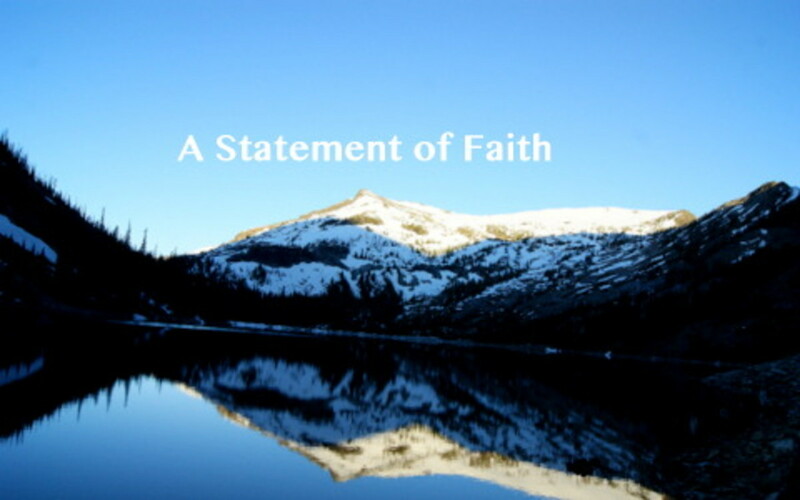 Questions and Answers about Faith. Fairfax, VA: The Fountain, 2000. Hermansen, Marcia. “Eschatology.” In The Cambridge Companion to Classical Islamic Theology, edited by Tim Winter, 308-324. Cambridge: Cambridge University Press, 2008. Hirji, Zulfikar (ed.). Diversity and Pluralism in Islam: Historical and Contemporary Discourses amongst Muslims. London: I.B Tauris & Co. Ltd., 2010. Jomier, Jacques. The Great Themes of the Qur’an. London: SCM Press Ltd., 1997. McAuliffe, Jane Dammen. Qur’anic Christians: An Analysis of Classical and Modern Exegesis. Cambridge: Cambridge University Press, 1991. Nazir-Ali, Michael. Frontiers in Muslim-Christian Encounter. Eugene, OR: Wipf and Stock Publishers, 2006. Parrinder, Geoffrey. Jesus in the Qur’an. London: Sheldon Press, 1977. Siddiqui, Ataullah. Christian-Muslim Dialogue in the Twentieth Century. Hampshire: Palgrave Macmillan, 1997. Thomas, David (ed.). Early Muslim Polemic against Christianity: Abu ‘Isa al-Warraq’s “Against the Incarnation”. Cambridge: Cambridge University Press, 2002. Waardenburg, Jacques. Muslims and Others: Relations in Context. Berlin: Walter de Gruyter GmbH & Co., 2003. Wheeler, Brannon M. Prophets in the Qur’an: An Introduction to the Qur’an and Muslim Exegesis. London: Continuum, 2002.